The Magpie's Nest...: Who is going to be the REAL mayor of Townsville? Won’t be he Mullet, that’s for sure. And The Magpie’s occasional Rat With A Gold Tooth award for barefaced and stupid political treachery goes to our federal MP Ewen Jones. Who is going to be the REAL mayor of Townsville? Won’t be he Mullet, that’s for sure. 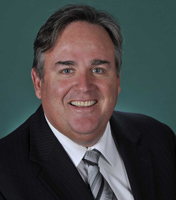 And The Magpie’s occasional Rat With A Gold Tooth award for barefaced and stupid political treachery goes to our federal MP Ewen Jones. 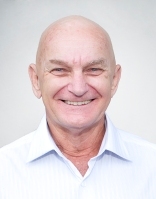 The Townsville version of the tribe that lost its head raises a lot of questions – that is, Dale Last’s tribe will have a handsome conservative majority on council, but by the looks of things right now, Dale himself won’t be there. The ‘Pie looks at the intriguing implications. And The Astonisher’s losing battle with getting names correct has continued, but this time, what hope when even the editor can’t get a well-known name right? First to minor media matters. In the Townsville Bulletin’s editorial on Monday, Lachlan ‘Harry Potter’ Heywood, writing his usual essay for the teacher (The Bulletin calls it ‘an editorial’), had a stab at working out the implications of the TCC election. He suggested we look to Brisbane where Labor councillor Mark Hinchcliffe had successfully functioned as deputy mayor under Campbell Newman. Errr, wouldn’t that be David Hinchliffe, mate? Hey, Harry, bet you wish you had some of that time-travelling magic erasing fluid. This is no biggy, except it does take on a different aspect when it comes from the most senior (not necessarily the oldest or the best) journalist in the Ogden Street bunker. On that subject of the likely scenario in Walker Street, is it only Townsville voters who could throw up a speed bump like this on the city’s journey from political sophistry to political sophistication? A Labor mayor heading a conservative council, most of whom, if they don’t actually dislike Jenny Hill, certainly distrust her, given her record of political point scoring and fibbing negativity of the past four years. The Moaning Mullet is not known for her diplomacy, negotiating skills, devotion to sweet reason or reasonable arguments against her own ideas. Add to that the very real enmity she has for TCC CEO Ray Burton, one of the most highly regarded local government officers in Australia, and it all looks a bit bleak. It appears that the council will have at least seven, or maybe eight, of the ten council spots, with two Labor … err, sorry, Team Mullet … people at the table. There may be one independent, Pat Ernst (please note the spelling Channel Seven), but he would most likely be irrelevant against the conservative block should he choose to oppose them. Councillors elect the deputy mayor, so this crucial office is certain to go to someone in the conservative ranks. Vern Veitch was a front runner until he told The Magpie he didn’t think he should have a shot at the office because of age – Vern reckons whoever gets the deputy doo-dah’s gig should be the mayoral candidate at the next election and he’d perhaps be a bit long in the tooth for the effort. But yet, ya never know …. So, while it might be - as the kamikaze pilot said at the first briefing - a funny way to fly an aeroplane, this council may splutter along with the ersatz mayor – the conservative leader - rallying the troops on decisions regarding some of the Mullet’s zanier ideas. By the by, The ‘Pie noted how coy the independent Ms Hill was when asked a few days before the election whether she was still a member of the Labor Party. Despite her typical waffle about not being a financial member, the truth of the matter is this. The date for ALP membership renewal is March 31, but the party has always had a flexible grace period of a month or two before anyone has to go through the membership hoops demanded of new or renewing members. So The Mullet may not have been a financial member when asked, but The ‘Pie will bet his cloaca dollar that our gal will be paid up lickety split and full on now the election is over. It will be ultimate fib in this fibbing Independent/Labor campaign. Stay posted. But Jenny Hill isn’t the only politician who urgently needs to undertake some rebuilding of bridges. A growing number of active conservatives (read LNP) around town, particularly in the crucial north and northern beaches suburbs, are livid with the Federal MP for Herbert Ewen Jones. The Jones boy had massive support among party faithful to get his well-upholstered and ever expanding bum on to the Canberra plush at the last election. Playing the likeable goof, everyone accepted our Mr Jones was no great shakes in the smart politics department, but, with skillful and crucial party help, was seen as a better alternative to the opposition of the day. He won handsomely. Among many who gave up their time to cajole, campaign and successfully talk up Mr Jone’s right to a ticket on the Canberra gravy train was one Natalie Marr. Yes, that would be TCC Councillor Natalie Marr, one of Team Tyrell’s (remember him – how time flies) hardest working councillors. And a person who, through her actions and position, was, and is, clearly a conservative politician. Then along come the TCC elections, and there pops up on the Division 5 ballot paper one Pat Ernst, an independent, by all reports a good bloke with solid experience in local business (Pat’s Pickup or some such it was called) and a former popular footy player of minor note. 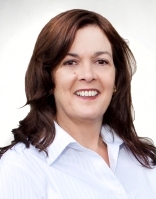 Also on that Division 5 ticket was the name Natalie Marr, running for Dale Last’s Townsville First team. Ms Marr expected to get a reasonable run against her Team Mullet newcomer Pauline Thomas and hopefully be able to account for the new independent Mr Ernst. The coat was clearly turning, but the extent could not have been imagined. Rather than doing the smart thing for a politician two tiers above council matters and staying well the hell out of it altogether, Mr. Jones took to Facebook to tout his golfing buddy and mate. Against his political sister. Local elections out of the way. Pat is in it up to his neck. Crimmo, Melberzs (also Ewen’s golfing mates) and I did sterling work and Pat will owe us big time if he gets up. We were the Occupy Willows Booth movement!! OK, perhaps you can cop that for a golfing mate who overlooked your air swing on the 10th fairway and shouted you a drink in the clubhouse. But for a politician of any stripe to even light-heartedly suggest that some who is successfully elected because of their efforts might ‘owe us big time‘ is just bloody daft, and could attract attention of nosey authorities if things get, as they often do, fucked up. So what does our ninny do to compound this disloyalty? Pull his head in? Fat chance for this fathead. He turns up on election day, and stands side by side with Natalie Marr and directs people to vote for his golfing mate and NOT his political ally. She didn’t want The ‘Pie to highlight it, but Ms Marr said when she realized what was happening, she was so taken off guard she said she almost – literally – vomited. When The Magpie went on air and outlined the above, (The ‘Pie talks with Pat Hession on his ABC 630 Drive-Time at 20 past 5 on (mostly) Monday) Mr Jones indignantly rang in to bluster his way into the one of the most telling self-denunciations one could think of. His argument is that Pat Ernst had been his friend of more than 20 years, he didn’t think Ms Marr had done much for him and ‘ When it comes to friendship, politics (ie political loyalty) comes a distant second’. Hmm, wonder what Tony Abbott would think of that in a Parliament that is on a numbers knife edge. The ‘Pie certainly knows what two of the most senior LNP figures in Queensland think of it. Both spoke on the agreement that they won’t be identified (but Ewen, you’ll know who they are soon enough), one bluntly suggesting ‘Ewen is an idiot’ and the other suggesting the Facebook entry alone was ‘political amateur hour’. Many councilors were outraged, but just one was happy to speak out. Vern Veitch, as previously mentioned in the running to be an all powerful deputy mayor, said ‘ We have supported Ewen in the past, but that support has to be withdrawn because he clearly doesn’t support us’. ‘Us’ is the council conservatives. That would include Natalie Marr. And among the others who did even more than Ms Marr, The ‘Pie wonders what the major fundraisers like the Blom family, and possibly the Lane family – and all their valuable northern beaches community contacts – make of this base betrayal. The ‘Pie hears some have been so angered that they vow they’ll never vote for you again, Ewen. Don’t believe The ‘Pie? Well, just ring them and see what they have to say. And you’re Facebook traffic just might increase, too, although not all in the negative - conservatives have their knuckle-draggers too, but most of them aren’t elected. Ewen, join the Dolt of the Month club. You’ve got all the political nous of a stale, over-iced doughnut and you exhibit all the characteristics of man's best friend, bar one. Loyalty. Understand this, old son. When individuals and a party put in not just time and money but trust to get your ever expanding arse down to a financially featherdowned seat in Canberra, you might think you’d have some obligation to them of loyalty. Hope you don’t have a round of golf or so with any Labor, Green or (shudder) independent members down there with whom you might become friends. Because what follows? We know you believe that friendship leaves politics a distant last in the loyalty stakes. Even in the doubtful circumstance you are heartily ashamed of this base and dopey behavior, it’s too late to be contrite; you may have been instrumental in denying a hard working and dedicated conservative councillor a well deserved and well earned place in our affairs. This is one time The ‘Pie wished you were a Labor MP, because for a low stunt like this, you would be turfed out of the party and dis-endorsed immediately – a move one would doubt that the LNP has either the guts or the ethical will to do, given the ticklish times in the capital. You can bet many conservatives, especially in the northern suburbs, will be waiting for you with baseball bats come the next federal poll – which may just be too soon for anyone to forget. Hang your head in shame, Ewen Jones. I came down from the northern beaches to help Natalie and was astounded to hear that Ewen was helping an independant against one of ours. Agreed the Facebook stunt was stupid. However Dale and his team constantly made the point they were Indepenant and not affiliated with the LNP, I personally heard that several times. I'm curious as to who Pat gave his preferences to. Was it Natalie? What a dolt. However, not entirely unexpected. I have reliable information that he was the fourth, possibly fifth, person approached to run for the LNP after Peter L retired. (actually, he was not approached - he stuck his hand up when attempts to find a candidate became desperate). The other potential candidates badly misread the mood of the electorate at the time. They underestimated the profound loathing that most people held for Mooney and the deep indignation felt over Joolya's cowardly knifing of KRudd (I don't care what Johnny Howard says - he would have lost that election) The LNP campaign in Herbert was lacklustre and pessimistic to say the least. There was a general feeling in the air at LNP HQ that Ewan boy was the sacrifial lamb and in for a flogging. His own appearances in the run-up were shambolic and downright cringeworthy. Since his unanticipated election he has bumbled and fumbled along without leaving a footprint. Genial he may be, but for all his ego and bluster he is simply not up to the job. 'Pie, he would be totally mystified by your comments - he lacks the necessary insight and moral orientation to appreciate how downright dumb he has been. The accidental fool. What a result! 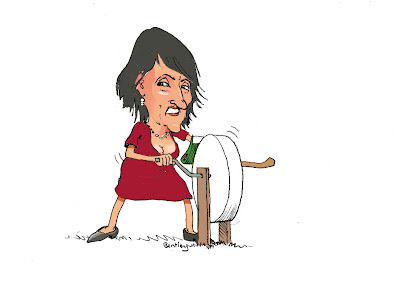 A hard worker like Marr gets the brush and Parsons, Blom and Walker get rewarded by we ratepayers for doing nothing. I suppose that if there is a silver lining to this "dark cloud" hanging over the city it's that Jenny Hill might make the slack LNP councillors at least pretend to earn their pay - and insist on Walker answering his phone and returning calls. But at the end of the day this new Townsville Council would have to be the worst line-up in Australia and reflects very badly indeed on the city and its residents (who must have voted for them). PS: Better proof read your copy Magpie - a lot of typos (no pun intended) in there this week! Oh Pie, what an illustrious piece of commentary on local politics, yet somehow still so partisan and contrived. If Jenny Hill should come out and say she's aligned with Labor, shouldn't Dale and his "conservative" mates do likewise re their LIberal affiliations? It doesn't matter how often/differently you spin it, it was a thrashing. On the back of Cando and with the power of incumbency (let alone generous funding from a local builder), Team Last ably demonstrated they couldn't win a chook raffle, let alone an election. As for Vern, heaven help us. Only the weight of Tory mansions on the hill got him over the line. Jesus wept! I thought Townsvillagers had more collective nous than to elect another potentially dysfunctional council. As for Ewen Jones, isn't he just following in the footsteps of the numerous boofheads who have represented North Queensland electorates over many years?